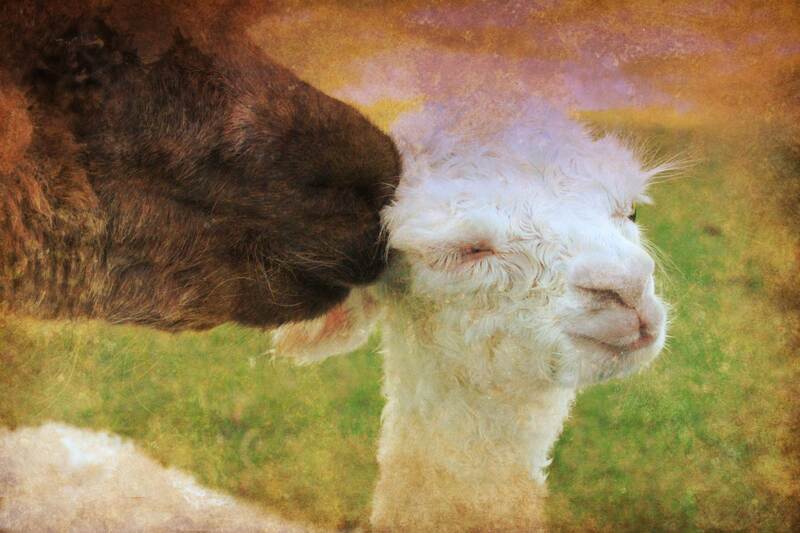 We are dedicated to the alpaca industry and love what we do! Happy Hounds Alpaca Ranch is dedicated to acquiring and breeding for the best alpacas US genetics can offer to improve our National Herd. Our ranch is located in Sisters, Oregon and is home to many of the finest lineages including, Snowmass Velvet Touche (2014 Light Herdsire of the Year, 2015 Reserve Light Herdsire of the Year), .38's Totem NS (7x champion Aussie .38 Special son), H2R Seraphina (5x Champion, 2014 GWAS Judge's Choice, White Snowmass Conopa daughter), Majestic Meadows Awethum (11x champion, 2x Judge's Choice, Majestic Peruvian Jeremiah daughter) and Snowmass Almandine (7x champion, 1x Judge's Choice, Snowmass Matrix Majesty daughter) to name just a few. 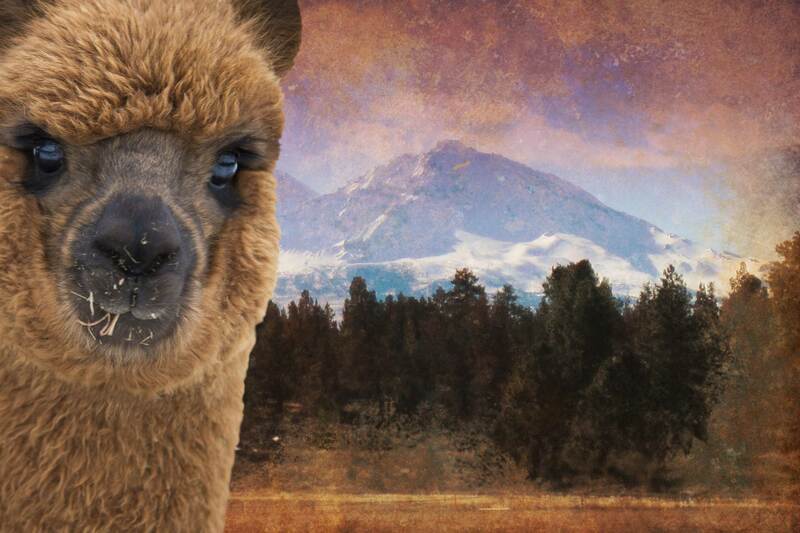 Our ongoing goal is to continue to produce award winning alpacas and to provide our clients with exceptional customer service to help them create pairing that will advance their breeding programs as well as the United States fiber industry. We are located on a sprawling 480 acres of hay fields and animal pasture. We are a 20-minute drive from Redmond, Oregon and 10 minutes from the small but beautiful town of Sisters, Oregon. Over the past few years Happy Hounds Alpaca Ranch has acquired genetics from the top breeders across the United States. Our ongoing breeding program infuses these genetics in our own design. 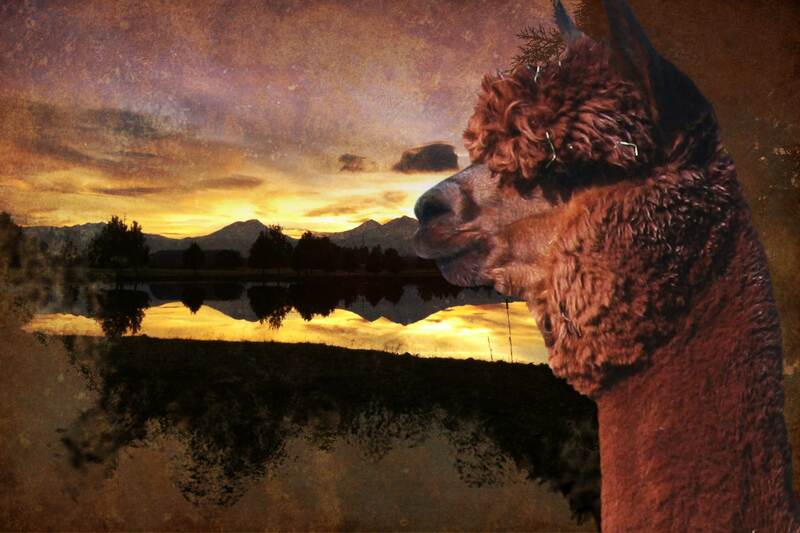 Take a look at our gallery to see alpacas in a more natural setting and to see the beauty of the surrounding area. Come and see the sights in person. We welcome your visit.